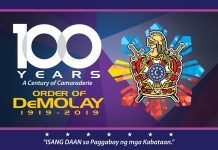 “If it’s a boy you’re looking for, not just an ordinary boy, ask any mother she’ll say, you’ll have no trouble today, just look around and ask for any DeMolay. 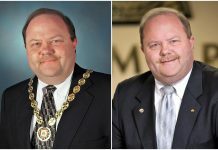 They do about just doing good. They’re always in a very fine mood. 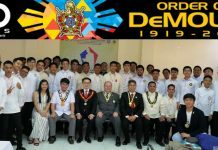 You’ll find them courteous and kind, so clean in body and mind, this special boy you see is called a DeMolay. He loves his mom, He loves his dad, He loves his country and above all loves his God. All womanhood he gives respect and a helping hand his ready to extend. 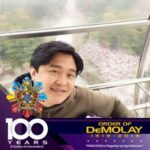 Like other DeMolay Chapters around the country, they came in droves, gave support and watched the event unfold as their beloved premier youth organization worldwide celebrated its 100th Founding Anniversary at the Philippine International Convention Center (PICC) last March 16. After the show and while everybody else was exchanging handshakes and pleasantries, brethren from the Wadih C. Saab Chapter (WCSC) and the Bulawan DeMolay Alumni Chapter No. 19 in attendance came up the stage instantaneously and sang the “Mothers’ Pride.” They were to be joined without cue by then SCOD GM Brother Edison Abella. The song was composed in 1975 by the late Mom Aurora “Inday” P. Pañares and was first sang by the Charter members of the WCSC. Mom Pañares was wife of the the late RW Leonardo T. Pañares. 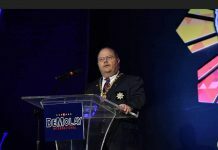 It continues to be sang today by the said DeMolay Chapter. WCSC brethren who are now in Kansas and whithersoever dispersed are one with us in greeting all a HAPPY 100 years! Beyond we go! For God! For Country! 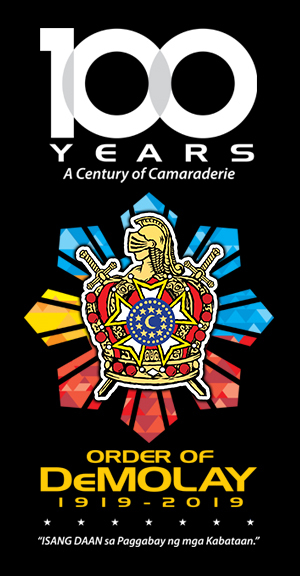 For DeMOLAY!